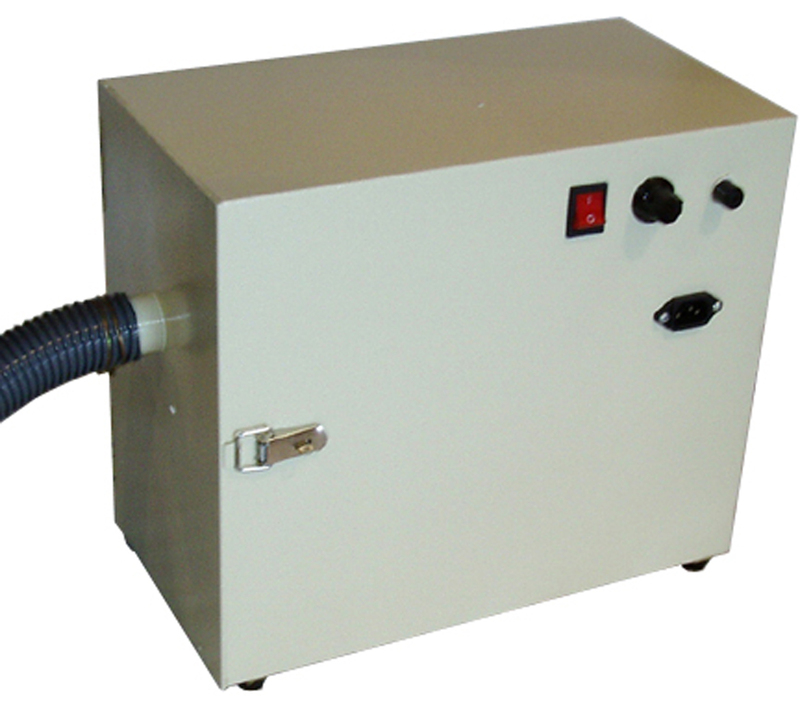 1/3hp suction motor encased in a steel cabinet with speed control. Internally insulated for minimal noise. Replaceable bag system collects waste.- Two station capability- Includes one 6’ long X 2-1/2” ID flexible hose .